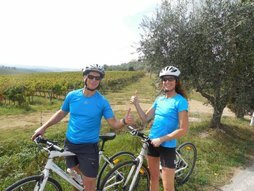 Hello Marco. 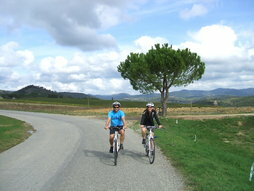 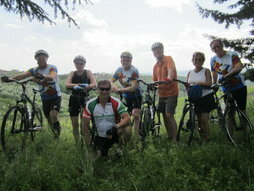 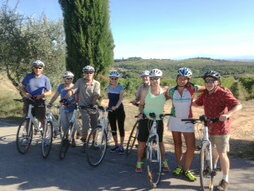 This is a belated thank you on behalf of our small group for our bike ride in Tuscany at the end of May. 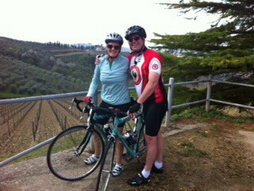 It was phenomenal and far exceeded all of our expectations. 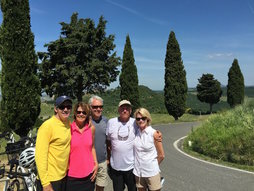 I want to especially thank you for your encouragement to Debbie that got her through the tough part of the climb when she was ready to call it quits, and ending up making it one of her most memorable days of our entire trip to Italy. 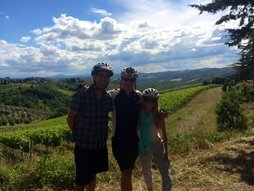 On behalf of Debbie, Malcolm, Chip, and Jenifer, we want to thank you again for creating such a wonderful experience in biking Tuscany.